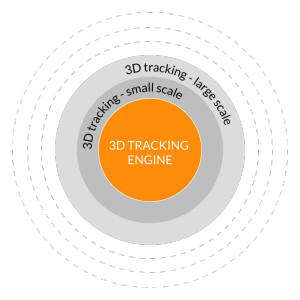 As part of our mission to keep augmenting the world around us, our tech team has been extending the capabilities of our 3D tracking. We started simple with the first public beta version of this feature a few months back, recognizing and tracking small-scale spaces. As things progress very quickly, Wikitude’s computer vision team is taking a step forward to track and map bigger environments or “large-scale” scenes as we like to call it. In this post we will provide an insight on Wikitude’s 3D tracking technology, share our next move on the 3D tracking road and provide a hands on demo of our large scale feature, the WikiWings app for Android. 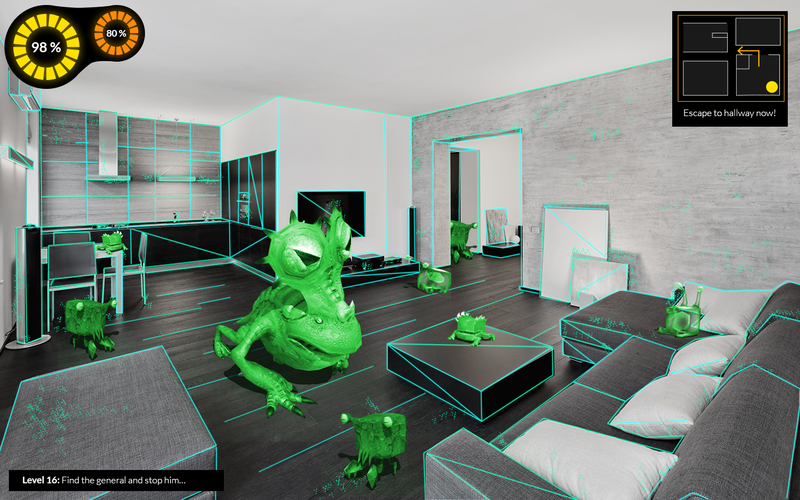 Tracking objects and environments in 3D is a complex task. Particularly if this is done without depth sensors and by using just a single front facing the camera as found in the majority of smartphones out there today. We, humans, are actually at an advantage as we are equipped with two eyes (cameras) for sensing depth and understanding the third dimension. The Wikitude team has been working tirelessly in the past three years with the aim to create a common base for recognizing and tracking three-dimensional objects, structures, and spaces. The market requirements range from being able to recognize objects of a few centimeters in size up to positioning a device in a sequence of rooms and corridors stretching several 100s of meters. There is no “one” computer vision algorithm out there that can support this broad set of requirements and use cases – yet. As the pioneer in the mobile augmented reality industry with a razor sharp focus on technology only, we will continue to address the demand for varying “flavours” of 3D recognition and tracking. The result of this approach is a strong common core for 3D tracking, which serves as the common base for a number of use cases. In the past weeks, another building block of our 3D tracking has evolved, and today we are excited to share with you the second part of our journey to map and track the world around us. Wikitude’s first 3D tracking beta released a couple of months ago was the initial public release for mapping and tracking objects and environments on a small scale, such as an office desk for example, as previously described in our blog. 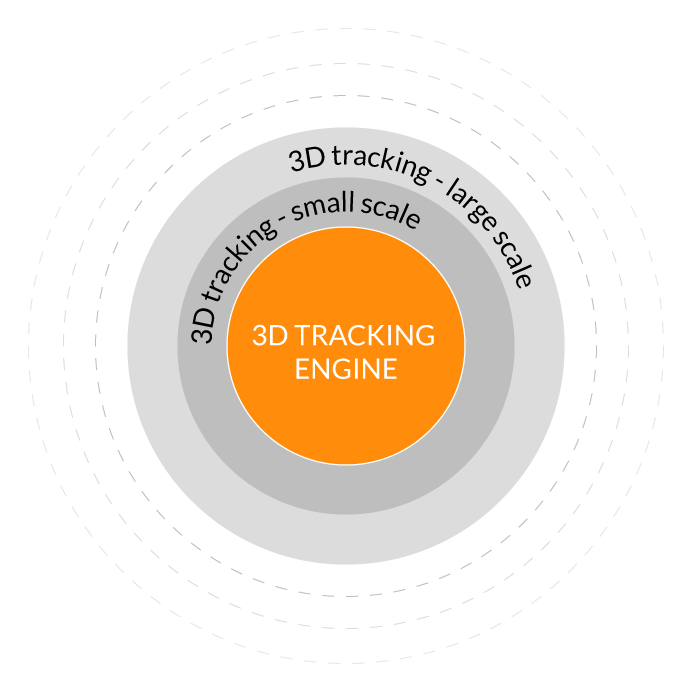 We have gathered feedback from our developer community in the past weeks and worked on an updated version of our small-scale 3D tracking. Interested developers can request our updated (December 1st, 2015) version of the beta on our 3D tracking page feature page. As a next step, we are preparing our next public releases for tracking and mapping larger indoor spaces to navigate users, display augmentations in rooms or show points of interest inside buildings. To demonstrate the basics of our large scale 3D tracking feature already, our development team took the Wikitude office as an initial test environment. The video below is a first hands-on example of the current capabilities of our SLAM based 3D tracking applied to indoor navigation and localization. The first step of the above demo is to identify objects and physical structures of the room that will provide key feature points to be tracked. As the user moves around, feature points are captured and become the base for the forming map on the device, see the box in the bottom right corner on the device in the video above. 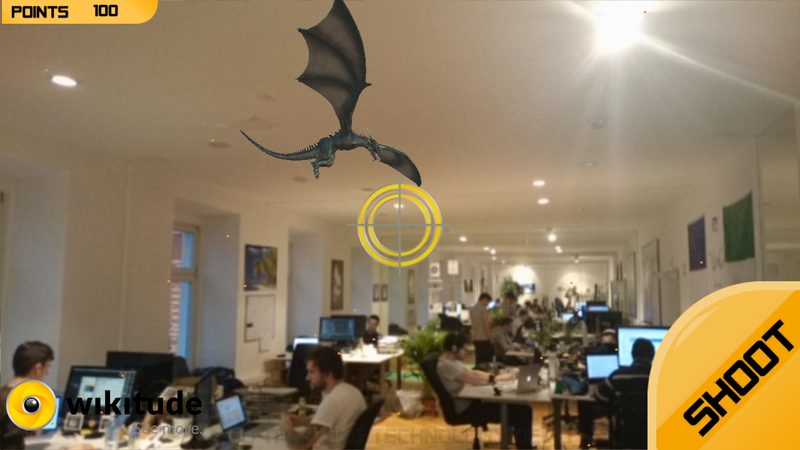 Once the algorithm has tracked key features of our office, it’s time to augment the scene! In the technical demo, we demonstrate a simple augmentation of an animated 3D model using our Native iOS SDK. The demand for technology that “understands” and enhances the larger spaces around us inside of shopping malls, public buildings, airports, train stations etc. is tremendous. Often times we wonder what’s the shortest way to a departure gate inside of airports and train stations, where we can get the best deals in large shopping malls or find the nearest Starbucks, or locate a piece of machinery on complex industrial sites, even indoor gaming is frequently being requested for. Here are some of the many use cases where the Wikitude 3D tracking can be applied. One of the coolest applications of our large scale 3D tracking is the ability to make rooms highly interactive. 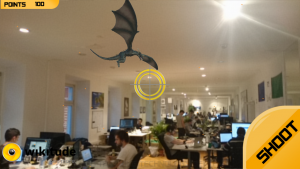 This feature allows users to hunt for flying dragons in your living room, fight living creatures in your kitchen or follow an alien in a shopping mall. Any room can become the scene of your game! 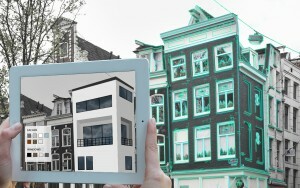 What if we could see a design idea of a building structure in real time? Or plan industrial spaces before a single brick is being moved? 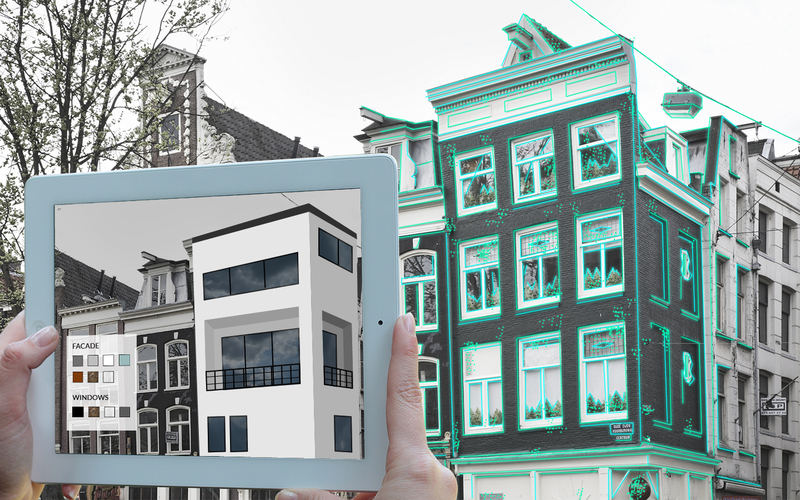 Architects can use Wikitude’s large scale 3D tracking to display their plans on their client’s tablet, helping them easily visualise what things will look like upon completion of the project. 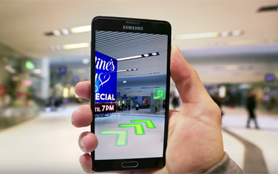 Tracking and mapping indoor spaces enables powerful indoor navigation. Locating deals in the maze of big shopping centers, leading passengers to their boarding gates inside of airports are only the beginning. The Wikitude large-scale capabilities will be available in our SDK soon, however, you can get an early taste of it already by downloading the WikiWings demo app for Android. Hi, when you think can be released the “3D Tracking engine” for tracking Indoor with your SDK?